The EPA has approved Tennessee’s Section 18 request for Sivanto (a.k.a. Sivanto prime) in sweet sorghum for control of sugarcane aphid. This product is already fully labeled on grain sorghum, but requires an emergency use exemption is sweet sorghum. Sivanto is the only insecticide labeled in sweet sorghum for control of the sugarcane aphid. Specific use requirements are listed below. A maximum of four applications are allowed. The use rate for a single application is 4-10.5 fluid oz/acre. No more than 28 oz can be applied to an acre. A 21 day preharvest interval must be observed, and applications can not be made within 7 days of each other. My experience suggests that no more than 6 oz/acre is needed for adequate control, and only occasionally will more than one application be needed. 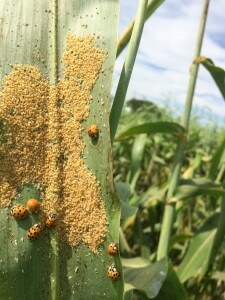 Because of the 21 day PHI, and because sweet sorghum is a high value crop, it is probably justified to use a more aggressive treatment threshold in sweet sorghum … compared with grain sorghum where treatment is recommended when aphids are present on 30 percent or more of plants and occasional leaves have 100 or more aphids present. 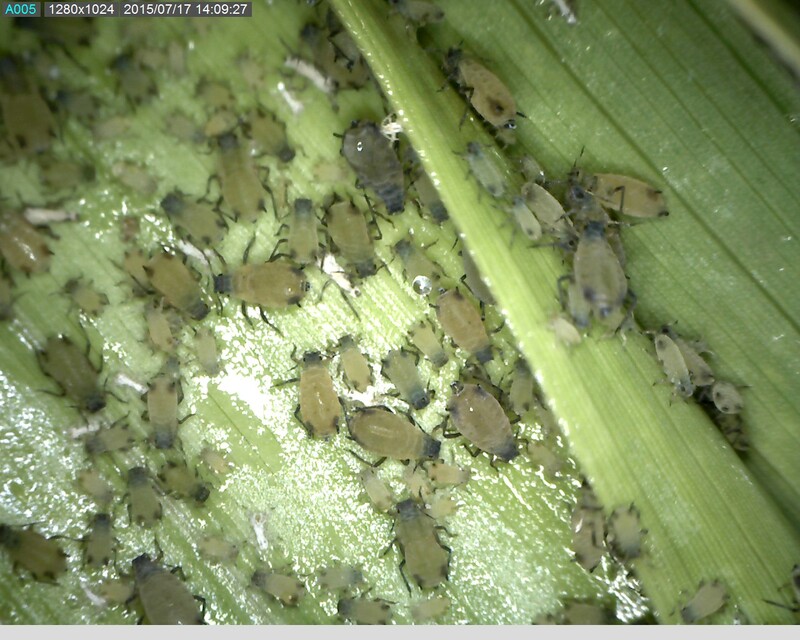 As a reminder, the sugarcane aphid can be a devastating pest of sweet sorghum (grown for molasses), grain sorghum, and sorghum sudangrass. These aphids are typically first found in Tennessee around mid July or later, but weekly scouting is recommended with more frequent scouting once aphids are detected. Do not confuse corn leaf aphids (greenish in color) with sugarcane aphids (which are white to yellowish in color). Both are commonly found in sorghum, but the corn leaf aphid rarely causes economic injury.